A. Improve your understanding of 3rd Paradigm Chiropractic. Many challenges, especially handling questions at the table, start with a poor understanding of the context in which you practice chiropractic. Start with this and a large volume of your issues disappear. There’s a reason chiropractors can say the “darnedest” things and get away with it. Imagine the incredible impact if you had certainty and you weren’t saying crazy and insane things to your patients. Although this plays a big role in certainty, self-esteem is a stand alone issue. It needs to be cultivated and grown as part of a lifelong process. 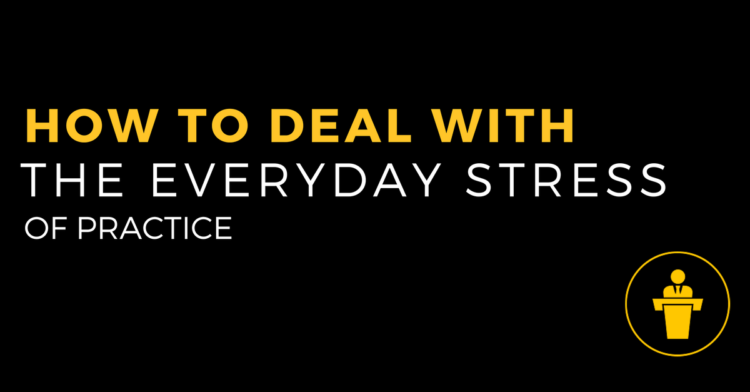 Once those are in place, the skills, tactics and strategies to handle your practice stress will work exponentially better. Drop outs – is there anything chiropractors hate more? Unhappy patients – what to do when something goes wrong with your VIP experience. Regulating board issues – how to handle the stress of a potential licensing issue. Staff & team challenges – do you spend your week putting out team fires. Burn out – where will the energy come from when you’re exhausted? Stress at home – learn to wipe your feet at the door. Medical doctor conflicts – turn this confrontation into an opportunity.